...and despite the weather we've had a great time aboard Tranquility. We left Oozells Loop early this morning in fog and made our way to Winson Green Junction where we turned right and cruised up the Soho Loop. It was a pleasant trip and I think if we as boaters don't use these backwaters, we'll lose them, if not to neglect and nature, then to the authorities and developers. That's why we went up there, just to add to the numbers and help prevent their loss. Although a bit shallow in places, its surprisingly easy to navigate and relatively free of detritus. This appears to go under the prison although its not big enough to get a narrow boat through, I wonder if any prisoners have tried to escape through here. Moving across the BCN Main Line at Rotton Park Junction into the Icknield Loop we found this to be more compact waters and speed should be kept to a minimum. Also if you have a chimney up, take it down. The bridges are very low. Behind the grassy bank is Rotton Park Reservoir. Back on the Main BCN Line we crused back to Old Turn Junction and a short way down the Birmingham and Fazeley to fill with water before winding and mooring up in Gas Street Basin and visiting Brenda and David aboard NB Mr David. Its nice to natter. I forgot to photograph this on the way to Birmingham, but I remembered on the way back to Alvechurch. You'll need to go dead slow here and wait for the workmen to raise the bridge for you. At weekends its left open. Tonight we're moored about a mile short of Alvechurch, just South of the M42 Motorway, the darkness and cold beat us. Tomorrow we go back to Alvechurch, load up the car and sprint back down the M5 to Somerset, picking up the cat on the way home. Another holiday over, we've had a great time, back to work on Tuesday. Roll on May. Not much done today and going up in the ratings. Sorry about the quality, it was taken with a mobile phone. Went for a walk around the Soho Loop this aft. Very pleasant except for the man with the two unruly dogs who just jumped up at me and plastered their muddy feet all over me. Unfortunately we met again and exactly the same thing happened, and not a word of apology. Both dogs would have gone in the cut this time if it were'nt for the fact the owner was bigger than me. Will take TQ up around the Soho Loop tomorrow, another backwater we've not been before. I never thought Travels on Narrow Boat Tranquility would go up so fast in the ratings - 87 in the Top 100 sites and 53 51 in the UK. It won't stay there for long, next week there'll be a drop back to normal. In the mean time I'm going to enjoy the high. 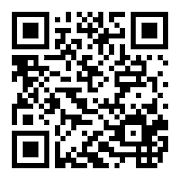 I couldn't blog yesterday as there was not enough signal strength on the 3 dongle thingy. We left Oozells Loop and cruised up th New Main Line and detoured up the Gower Branch through the three Brades Locks where we encountered two minor problems. The first was ice as we approached the first lock but we managed through that OK, the second was the staircase locks were completely empty - both of them. I had to fill the top lock first and then empty it into the next lock and move TQ along one then fill the top lock again and move TQ out. We made it to the Black Country Living Museum and apart from the two museum boats we were the only ones there. We filled with water when we arrived then winded and reversed back to the moorings. Had a look around the museum again today before setting off and heading back to Oozells Loop, via Oldbury and under the M5 Motorway arriving at around 17:00hrs. I've been discovered, it seems. 88 in the boating sites ratings. Can't be bad. This is a really quiet spot right under the eye of a CCTV camera and there are security guards patrolling the quay side and helicopters patrolling overhead. It must be the safest mooring on the cut. Access to the amenities is just as easy from here and talking of amenities we had lunch in the Malt House. Steak and Ale Pie, Mash and Peas - Mmm! it was delicious. Back on TQ now and we've crashed! We'll stay here again tonight and do some exploring tomorrow. I've just realised that at this time this blog has broken into the Top 100 Boating Sites at number 100 - Yippee! That's the highest its been. I've just been for a walk around Oozells Loop and I found it very disappionting. Most of the tow path is closed off and made private. I had to go up some steps and over a bridge and down a road so far and turn right to get back to the loop at the other end. I then walked up the loop and it came to a dead end unless I wanted to get wet. Not today, so I had to use a foot bridge to come back through Symphony Court. ...and everyone's at work back home and here we are frozen in. There was ice on the inside of the windows this morning. We're having to hole up for the day and hopefully tomorrow the ice may have melted some and we're able to make our way to Gas Street Basin. Heavy rain is forecast for the next few days - Oh! well, you can't have everything. We had lunch in the Hopwood House, something we said we'd never do again after the last time, but it was quite a better experience this time. We had Beef Goulash and very nice it was too. After lunch we decided to take a chance with the ice on the canal and see if we could get to Gas Street Basin. Departing from our mooring was difficult as the ice wouldn't let us point the bow out into the middle of the cut. 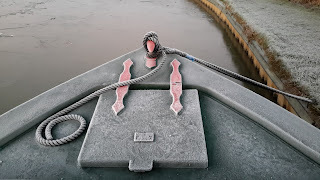 A few stabs at the ice with the "Bargee Kev" (like Bills but mine) soon had us on our way. So, on through Wast Hill Tunnel and we met some BW guys working on the bank. They were pleased to see us as they had tried to get their equipment on the move but were unable to due to their square fronted hopper/ butty being unable to penetrate the ice. When we arrived at Kings Norton Junction we could see in the distance a camera crew filming. 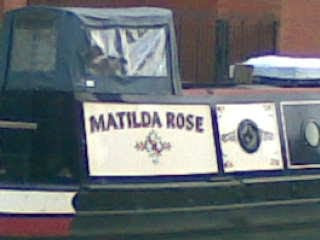 We came closer to realise it was Alan Herd of Narrow Boat Afloat fame, the TV series. Remember Dover? We had a chat about the ice as we passed through, and the film crew kept filming us as we ploughed on towards Birmingham. Arrived at the water point opposite The Cube at around 16:30hrs and filled with water, and then through the Worcester Bar which marks the end (or beginning) of the Worcester and Birmingham Canal, and the beginning (or end) of the BCN. We moored up at 17:00hrs under the watchful eye of the CCTV camera just inside Oozells Loop. Its very quiet here. Edgebaston Tunnel - Look no ice!